I interviewed Urmila Deshpande, author of the book Ananya - A journey towards light. To read the complete review of the book please visit Book Review : Ananya - A journey towards light - Urmila Deshpande. Q: Tell us about your experience of writing “Ananya”? A: Meditation has been an integral part of my daily routine since the last ten years. Once you start meditating, you go through a continuous process of transformation. For me this phase was not easy as there was a continuous fight within, since our mind believes in logic. Whatever knowledge I acquired during this phase was either through meditation or by reading books on philosophy, I tried to convey that in a form of a fiction. So I would say that I didn’t pre-plan the plot of this book, but I began jotting down the knowledge that I had gained from within through all my experiences and I found my way till the end. A: I am a homemaker. Q: What inspired you to write, “Ananya”? Was there a particular reason that you wanted to write about fiction that involves occult sciences? A: I practiced tarot for a year. As a tarot counselor, I came across people undergoing a lot of stress and depression and with a continuous mental fight between what is ‘right’ or ‘wrong’. So I decided to convey my beliefs, which could be a ray of hope for its readers. Q: Tell us about the research you had to put in to write the book that revolves around hypnotherapy, Kundali, Divine Forces, affirmations, etc..? A: I didn’t research in particular for Ananya. I jotted down the knowledge I acquired through books (spiritual or philosophical), which I have been reading since 9-10 years and the insights I received through meditation, in the form of a fiction. I decided to write it in this form because I believe that there is a child within all of us who likes to hear or read stories and any knowledge acquired through stories always leaves its mark on our minds. Q: When did you decide that you wanted to be a writer, was it a dream or it just happened? A: I have always been an avid reader. Over the years I developed an interest in occult and then spirituality. I started meditating and reading books related to spirituality. Being a mother, the immediate recipients of this knowledge were my daughters, who used to listen, question and even debate. It is on their insistence that I decided to write. Q: These days, publishing a book has been easier. Do you agree with us? Tell us about your experience of getting “Ananya” published? A: If one chooses to self publish then it might be easy. I was also given that option by some self-publishing houses, however I chose otherwise and hence had to go through rejections before finally getting acceptance from Leadstart publishers. In short I can say that my experience of getting Ananya published was similar to that of any other newcomer. Q: Other than “Ananya”, have you written anything else? What can we expect from you in the near future? A: It is too early to make any statement about it. However, you can expect it in the beginning of 2017, taking into account the publishing process. A: The book is about hope and a journey from darkness to light. The cover has to resonate with this theme. I had furnished links similar to the cover to the designer. I am glad that they were able to deliver so beautifully. Q: If “Ananya” is made into a movie, who do you think should play the lead characters? A: I haven’t really thought about it so don’t have anybody in mind. A: I prefer to go with the flow rather than to be hassled up by the writer's block. In such a case, I would wait for the inspiration within rather than to think. A: Yes, when I was in school, Shri P.L. Deshpande was my favourite writer. I grew up reading his books. I also loved reading ‘Mrityunjaya’ by writer Shri Shivaji Sawant. In college, I enjoyed reading books by Sir Jeffery Archer, Robert Ludlum, John Grisham. In the last ten years I profoundly read books by Osho, Bepin Behari, Paulo Coelho, Paramhansa Yogananda. Dan Brown’s Da Vinci Code is one of my favourite books. Q: You prefer reading e-books or the traditional paper/hard back book? Why? A: I don’t mind either, however I love the traditional paperback form. It gives me more satisfaction of reading a book. Q: Two things that you like and dislike about “Occult Sciences”? A: Occult sciences, particularly astrology can enlighten you about your life’s purpose. However one should avoid obsession or addiction to these sciences. A: The book is all about ‘hope’ and ‘light’ within. It helps the reader to believe in one’s self and hence, being the reason enough to get hold of it. A: Life becomes beautiful when you accept, respect and love yourself. It is the first and the most difficult step in our spiritual journey, as you need to either accept yourself or sculpt yourself into something that you can accept. 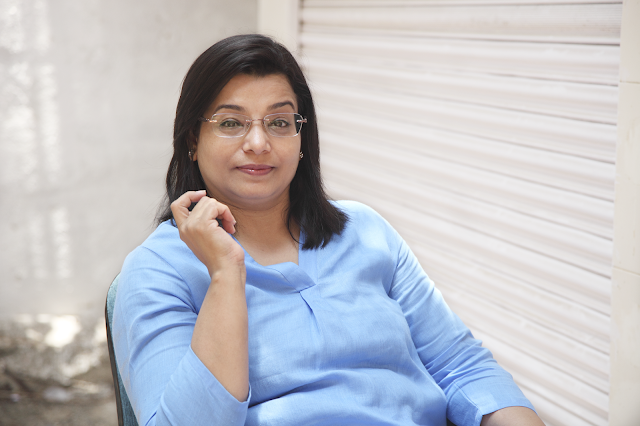 A: Readers can connect with me on Facebook page :- Ananya- A journey towards light, our team is extremely active on the page. It's always nice to hear from readers how much they enjoyed Ananya or sharing their valuable feedback which helps us understand where we can improve going forward. Nice interview, liked the answers given by the author.